A teenager has been charged with allegedly stealing from the homes of celebrities in Los Angeles. Rihanna was among the famous faces whose properties were targeted, according to the Los Angeles County District Attorney Office. Tyress Williams, 19, faces four felony counts of first-degree residential burglary, it said in a statement. He was due to have the charges read to him at the Foltz Criminal Justice Center court on Tuesday. 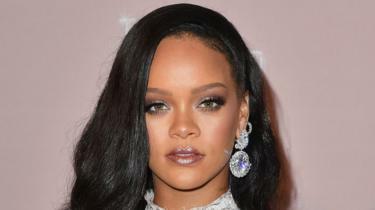 As well as Rihanna, it’s alleged he targeted the homes of singer Matthieu Tota, aka Matt Pokora, baseball player Yasiel Puig, and American football player Robert Woods. It’s claimed the burglaries took place between August 24 and September 27 this year. Tyress Williams faces a maximum sentence of 10 years in jail if he’s convicted of all charges. Prosecutors are requesting his bail is set at $200,000 (£153,000). The case remains under investigation by the Los Angeles Police Department. Three other people – aged 19, 18 and a 34 year old – have also been arrested in connection with the alleged burglaries. 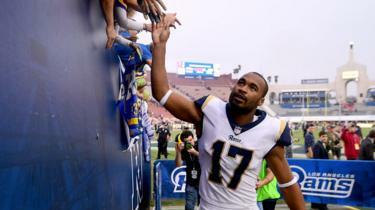 Los Angeles Police said the suspects are believed to be part of a larger burglary ring targeting actors, athletes and Hollywood producers. “The victims’ homes had been selected based on social media postings and touring or travel schedules of the owners,” said Lillian Carranza, head of the LAPD commercial crimes division.